The Istituto e Museo di Storia della Scienza (Institute and Museum of the History of Science) has undergone a renovation involving a complete redesign of its exhibition areas and displays. 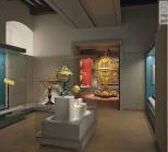 Today, it reopens under the new name of Museo Galileo, the Galileo Museum. The event coincides with the 400th anniversary of Sidereus Nuncius��the Starry Messenger��the work published in March 1610 in which Galileo announced the sensational observations made with his telescope. The Museum�s subtitle will preserve its earlier name of �Istituto e Museo di Storia della Scienza� (Institute and Museum for the History of Science). 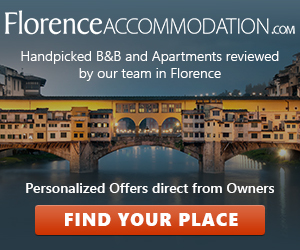 But the new designation �Museo Galileo� emphasizes the central role of the Galilean heritage in the Florentine institution�s activities and cultural profile. The Museum is not only a showcase for an invaluable legacy of instruments and experimental apparatuses. It operates as an institute engaged in research and documentation, offering scholars from around the world the resources of its specialized library, also available online. The new layout of the Museo Galileo offers on display more than 1,000 instruments and devices of major scientific importance and beauty. The central figure is Galileo, with the history of Florence and Tuscany as the background theme. Under the rule of the Medici and Lorraine, the city and the region were a center of excellence for scientific knowledge as well as a thriving cradle for the arts. The events and discoveries that took place there had a deep impact on the history of modern science. The Museo Galileo features a series of structural and functional innovations. The restoration of the interior of the Palazzo Castellani (which dates from the twelfth century) has emphasized its monumental dimension and architectural distinction. The elegant, state-of-the-art display cases highlight the esthetic quality of the objects on view, while ensuring their perfect conservation. Portable interactive video-guides�used for the first time in a museum�make the most complex instruments fully understandable even to non-specialist visitors. The devices offer access to hypertext pages, 3D animations, and biographies. Visitors can use the video-guides to select an itinerary through the museum tailored to their specific interests. Thanks to the visual guidance you will get information about every item on display by simply dialling the number assigned to each object or by choosing an exhibit among those proposed by the system, that automatically recognizes the show case in front of you. In alternative to the free tour of the museum, visitors can choose the highlights tour, which allows them � thanks to sound cards � to discover the most relevant exhibits of each room. Multimedia contents give a more in-depth approach with just a click. Closure days due to festivity: January 1 and 6, Easter, May 1, June 24, August 15, November 1, December 8, 25 and 26. Video guides are available at the assistance desk at 5,00 � each.